Hello! Today I have a super exciting post! 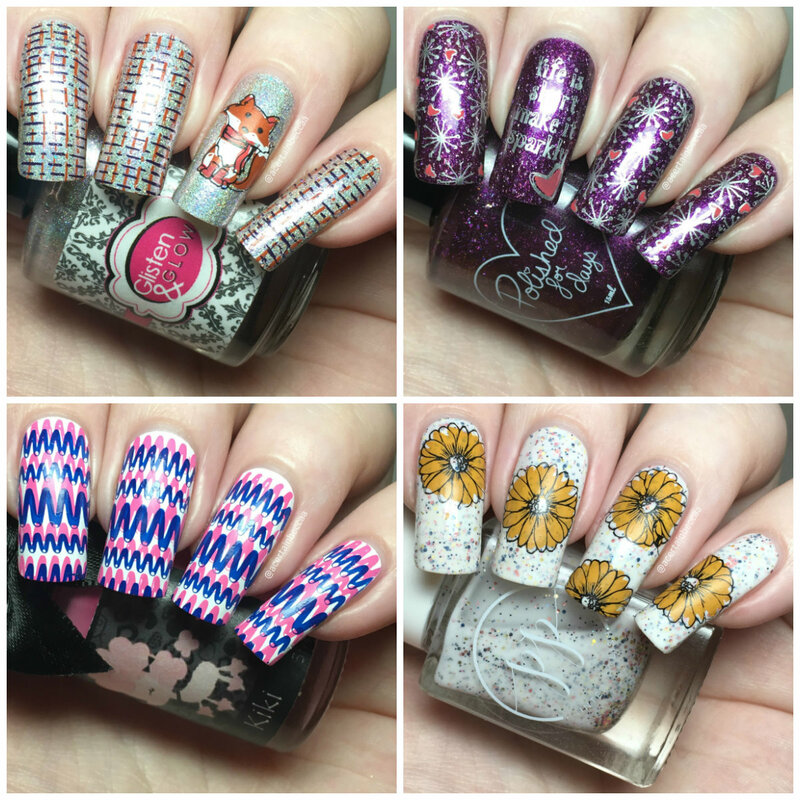 Annette from Rainbow Connection was kind enough to send me UberChic Beauty's Collection 21 to share with you. This brand new collection of plates releases today and is available right now. As always, there are three plates in the set - 21-01, 21-02, and 21-03. 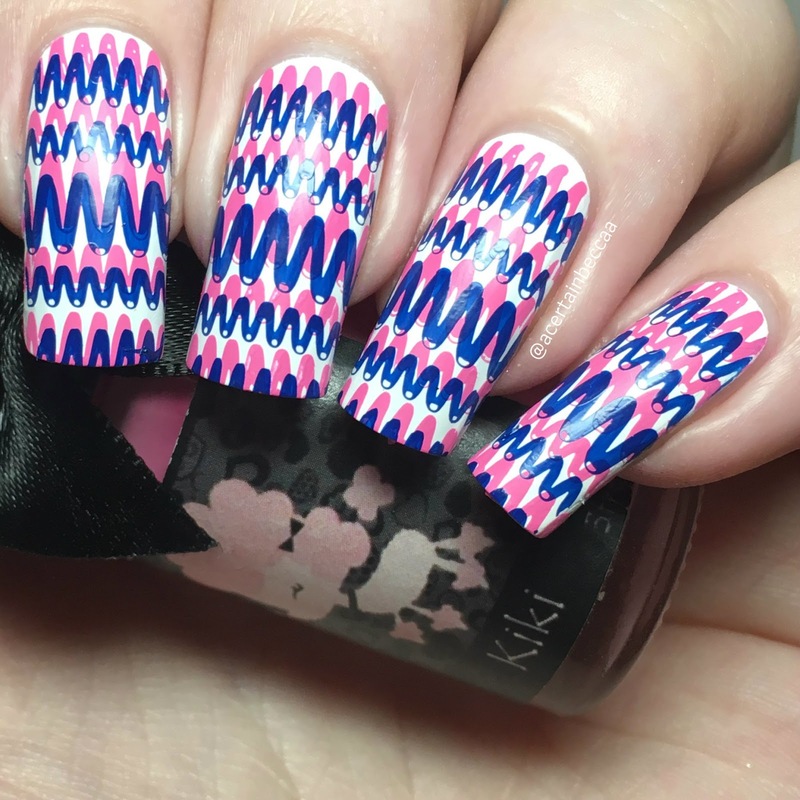 I created a mani with each, and then a bonus one. Read on for a closer look at each and more info! Before I get into my nail art, here's a quick look at each plate so you can see all of the different images. 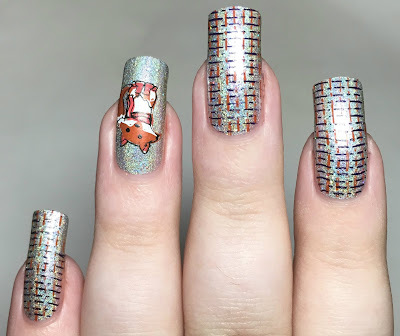 For 21-01, I couldn't resist the cute layered fox. Using various stamping polishes including Painted Polish 'Stamped in Sweet Potato' and 'Stamped in Coral 2.0', I stamped him onto my ring nail. 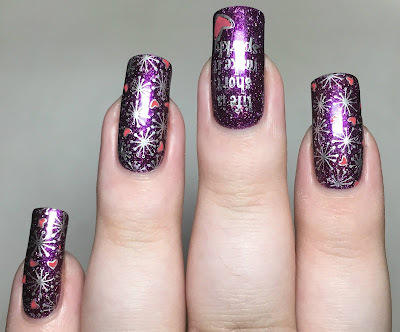 For the rest of my nails, I double stamped the broken line images on the bottom left of the plate using Painted Polish 'Stamped in Sweet Potato' and 'Stamped in Twilight 2.0'. 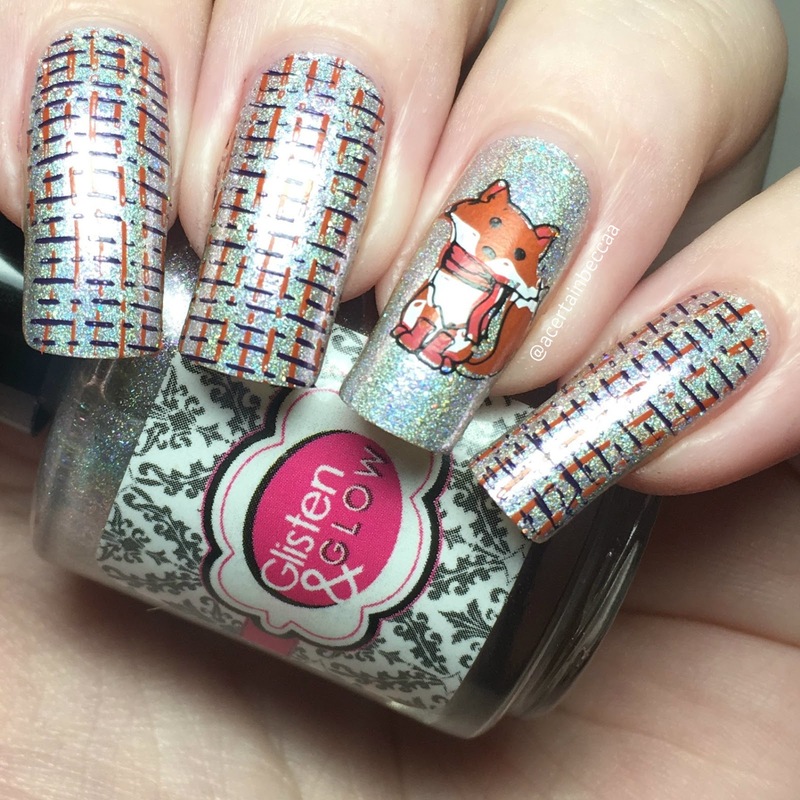 My base polish is Glisten & Glow 'Shiny in Chi'. For plate 21-02, I used a base of Polished For Days 'Nausikaa', and did some reverse stamping. I stamped the snowflake and heart image in silver, before colouring in the hearts on my stamper head using Painted Polish 'Stamped in Coral 2.0'. 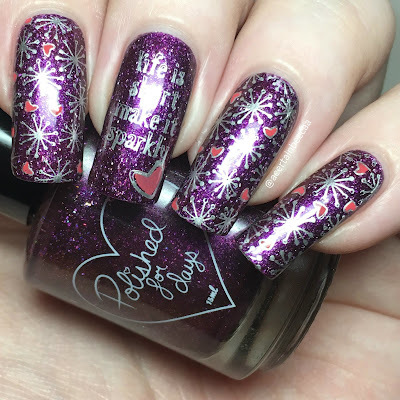 I did this for all except my midde nail, where I stamped the 'life is short, make it sparkly' wording along with the layered heart image. For 21-03, I went for something slightly simpler. 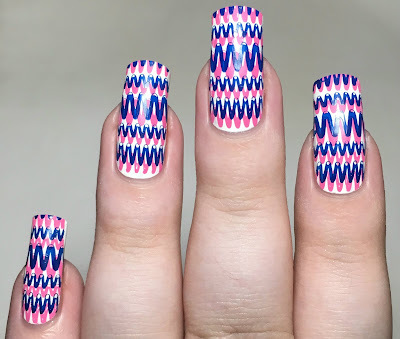 I double stamped one of the wavy patterns over a white base. 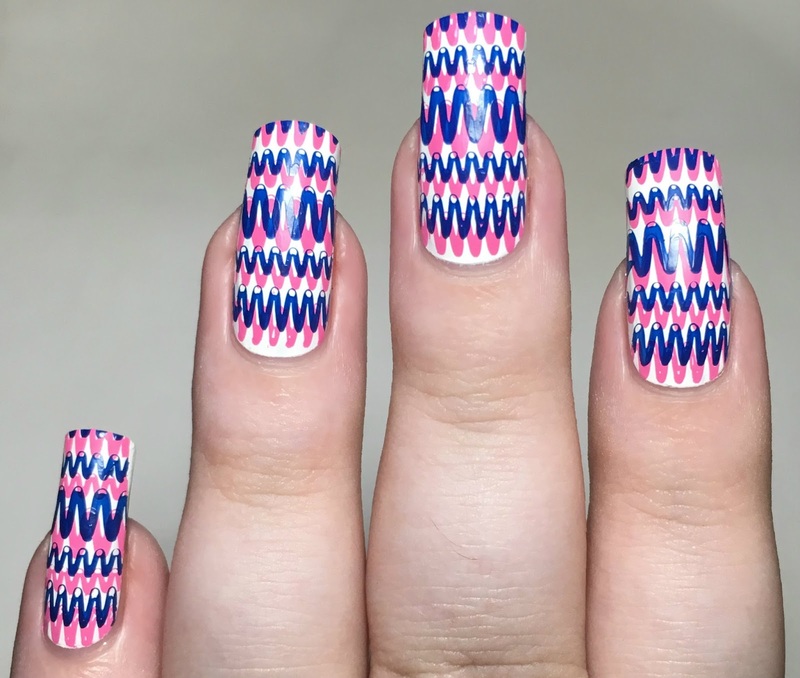 I started with pink using Esmaltes Da Kelly 'Kiki', and then blue using Painted Polish 'Boating in Blue Jeans', offsetting the image as shown. For my last mani, I went back to 21-02 and used the larger layered flower towards the top of the plate. I stamped the block colour using Painted Polish 'Stamped in Mustard', followed by the outline in black. 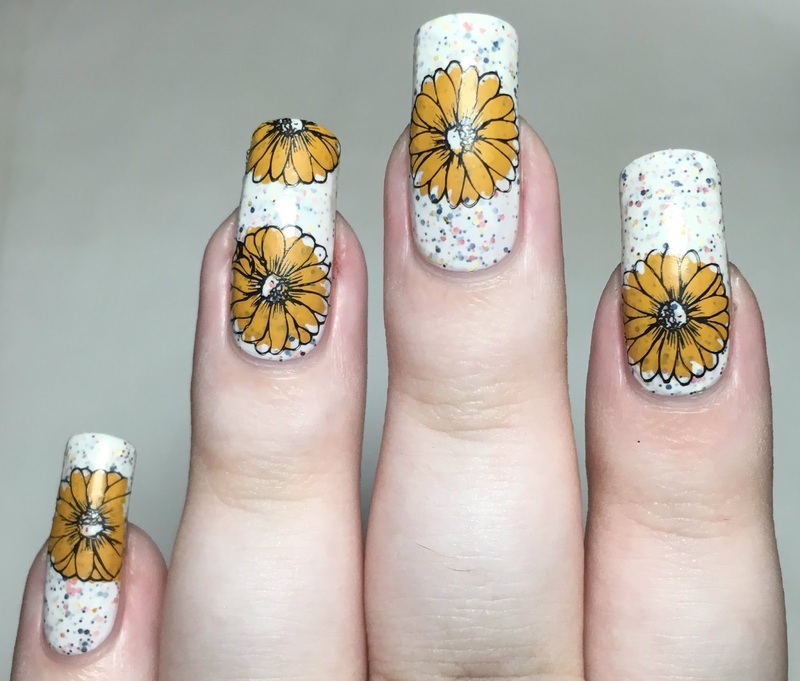 I placed flowers randomly across my nails over a base polish pf Painted Polish 'Sideshows & Snow Cones'. What do you think? I really love this new collection! 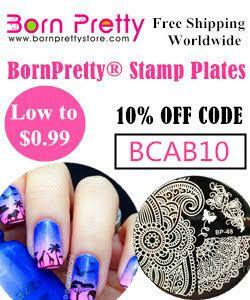 Between the three plates there is a massive range designs including floral images, geometric images, wor ding, and even layered images. There's definitely something for everyone, and no end of possibilities! What image stands out to you? You can find UberChic Beauty Collection 21 on the Rainbow Connection website here. All other brands mentioned are also available on Rainbow Connection. I really like these plates! 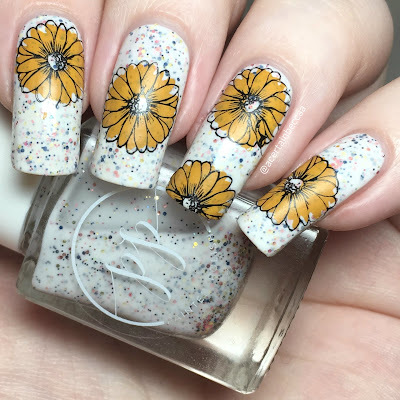 Great manis as always Becca!